Amphipods are known as freshwater shrimp, scuds, or side swimmers. Amphipods are found in almost all aquatic environments, from fresh water to water with twice the salinity of sea water. The scientific name for the amphipods is the Abludomelita Obtusata. They grow from to 1 up to 340 millimeters. Amphipods are Omnivores meaning that both plants and meat are a part of their diet. There are more than 9,500 amphipod species and ones' average lifespan is about a year. This is second time we checked on the Amphipods. It's looks like there going good. .
Our first trial with the Amphipods was putting a certain amount in 7 cups (all the same size) filled with algae water. The more Amphipods in a cup the faster the algae water cleaned. We had a few errors and our main problem in this experiment was that some of Amphipods were pregnant and their offspring ate the algae too. 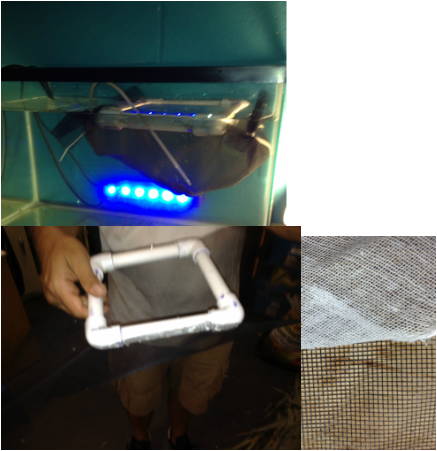 Our second/third trial was putting Amphipods in our prototype chinampa. The first time we did it (picture at the bottom right) we used the white cloth material. 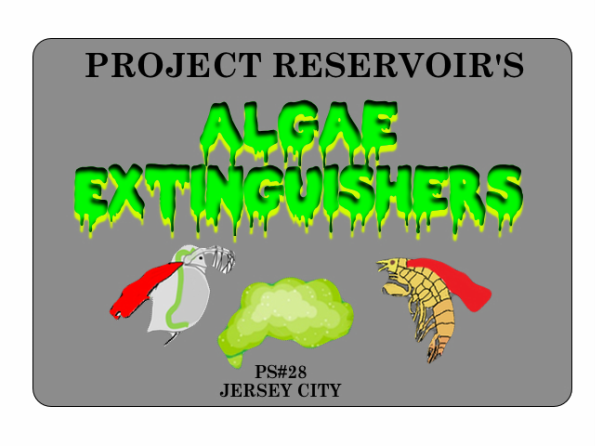 We put seven grams of algae inside and placed 32 Amphipods and later on we added nine more. The problem that happened was that soon after all 41 died. Our third trial was similar to the second trail, except we used different material being the black material in the picture (shown below the white cloth). However, we put less Amphipods knowing how the last outcome was. This is one of our trials to see if Amphipods can eat duckweed. I made the picture large so you can see it but if you look in the center you will see an Amphipod eating duckweed. 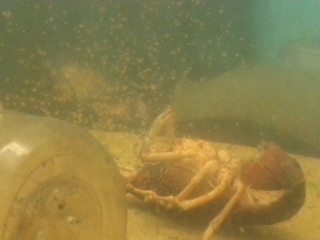 In this picture above, it show a dead crayfish being eaten by the Amphipods.